Langza, Komic, and Hikkim are the offbeat places near Kaza in Spiti Valley which can be easily explored in a day at an easy pace. Hence, continuing on my efforts in completing the comprehensive travel guide of Spiti Valley, today I will cover them as the second part of local sightseeing around Kaza. I have already written about Ki – Kibber – Gette – Tashigang and Tabo – Dhankar – Pin Valley in my other articles. In coming days, I will share a few more offbeat places of Spiti Valley around Kaza as it usually acts as a hub/center point to explore magical Spiti Valley. 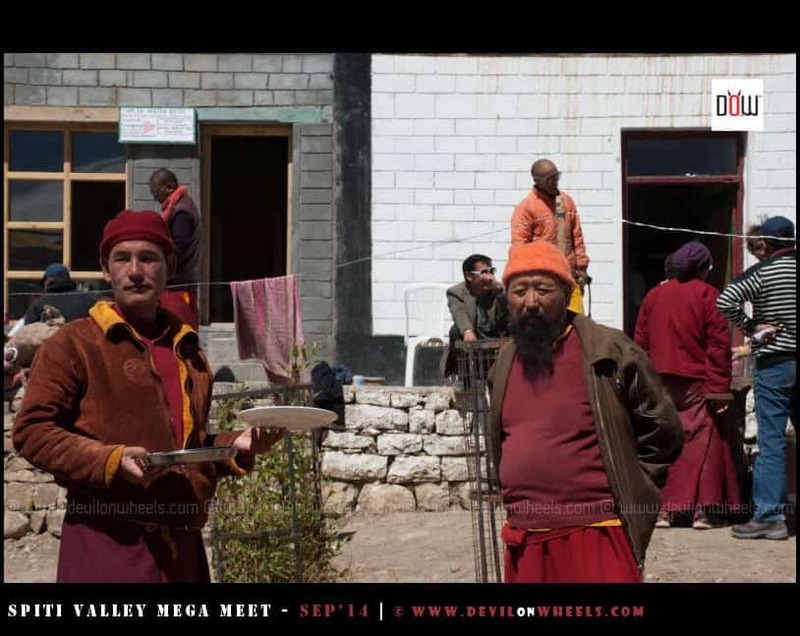 All these places can be covered in the famous village treks too which usually starts from Ki monastery and follows the trail sometimes all the way up to Dhangkar Monastery. 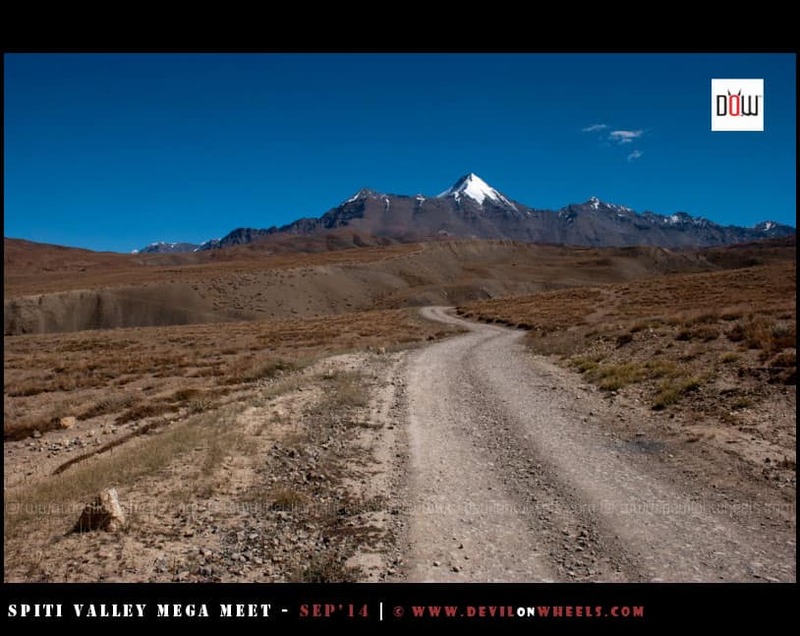 This trek covers all the beautiful hidden gems of Spiti Valley like Chicham, Kibber, Gette, Tashigang and then towards Langza, Komic, Hikkim, Demul, Lhalung, Dhangkar. Finally, you come back to either Kaza OR cover Pin Valley before returning to Kaza. 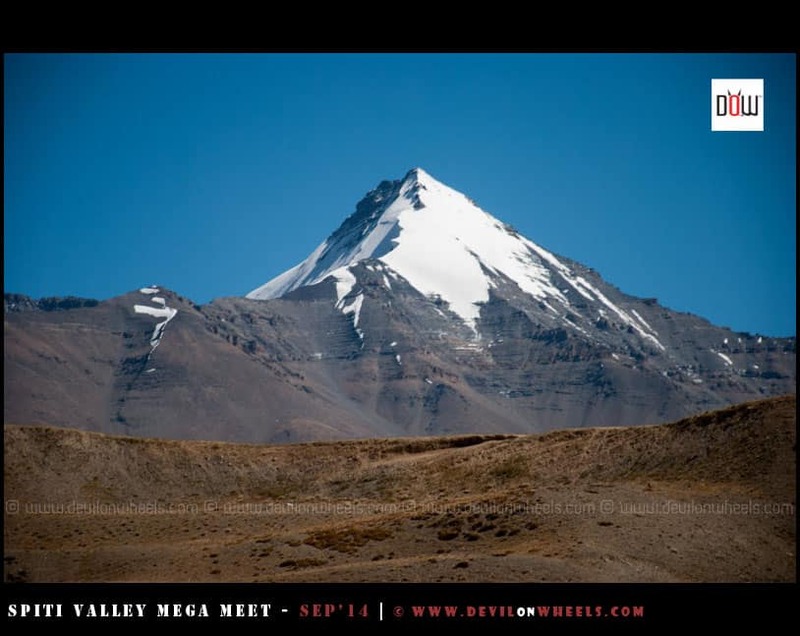 So, you must know that there is so so so much to cover in Spiti Valley and the best part is that all these places are about a day’s trek from each other. Usually, people start from Kaza to Ki Monastery by road and then trek all the way back to Kaza either covering all or skipping few villages in between depending on the number of days in hand. Check my complete guide on planning a trip to Spiti via Kinnaur. Langza village is located about 14 KMs away from Kaza, at an altitude of 4330 Meters. When you drive towards Rangrik from Kaza there comes a bifurcation on the right that goes to Langza – Komic – Hikkim. You have two options to do the circuit, either go from Langza and come down from Hikkim, something I will recommend. Or you can first visit Hikkim and go to Komic at the top, come back from Langza side. Langza is popularly known for hunting marine fossils and breathtaking view of Chau Chau Kang Nelda peak sitting on top of the village. If you are fond of fossils, you can hike a bit higher around Langza village, look around/beneath the rocks to collect some ancient fossils for your sweet home. You can also visit the Chaudua (Fossil) center in Langza village to know more about these fossils. There are a couple of unknown/unnamed ponds/lakes around Langza as well, which can be reached by trekking about as 3-4 Hrs a day with some local guide or villager. Similar to Mane village, Langza village is also distributed among two villages known as Langza Gongma (upper village) and Langza Yongma (lower village). It has a population of about 150 odd people spread among 35 odd houses. You can find a few homestays for your stay up in this village. Please note that the food and accommodation at these homestays will be basic, so don’t expect much. The toilets, as in any other homestays, are outside houses and mostly limited to the dry pits. There are a couple of buses that run from Kaza to Langza every Tuesday and Saturday when roads are open in summers. In winters, people trek about 10-12 KMs in snow to reach Langza from Kaza. Being located at high altitude, this village hosts tourists in winters who are looking to spot snow leopard. There is a monastery school as well where we did DoW Causes in 2014. The locals, as usual in any other high altitude village in the Himalayas, are welcoming, extremely hospitable and treat you like a king. 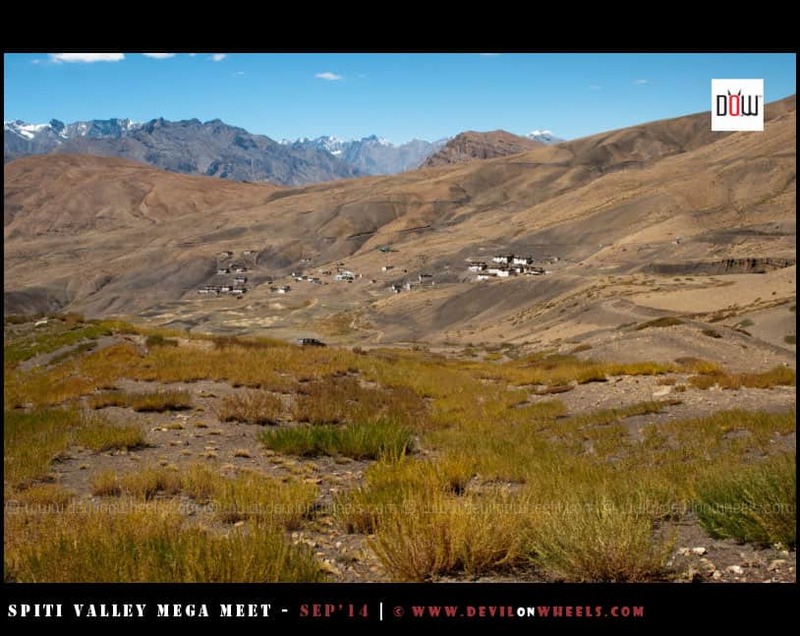 If you want to experience the authentic local lifestyle of Spiti Valley, you should definitely spend a night in Langza village. 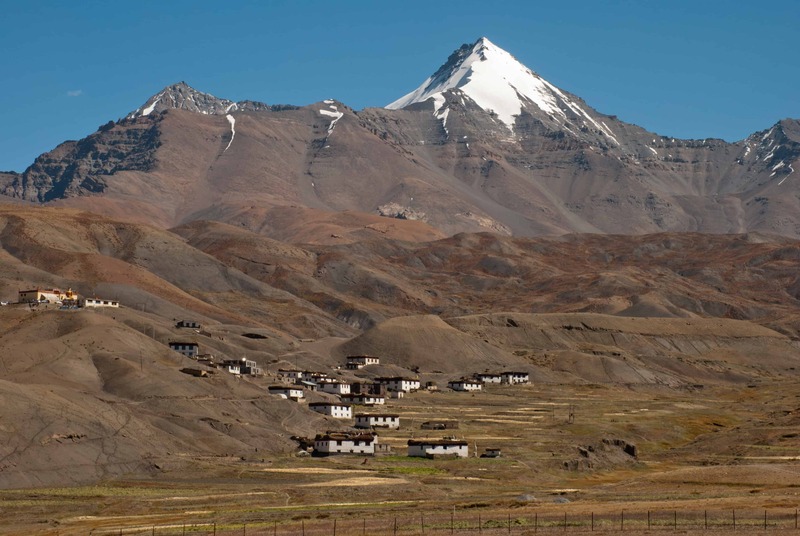 Komic village, at an altitude of about 4600 Mtrs, is popularly known as the village housing the highest motorable monastery in the world, the Tangyud Monastery. Komic is about 10 KMs further from Langza village. Tangyud Monastery in Komic village is one of the two monasteries belonging to the Sakya sect left in Spiti Valley. The other one is in Kaza itself which is relatively small and a bit insignificant in its comparison. 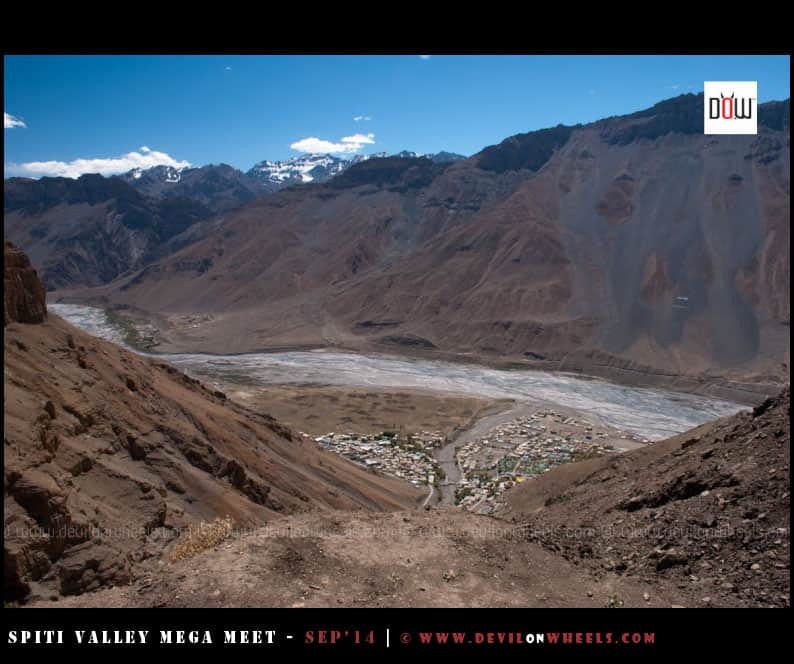 The village offers some high vantage points to witness some amazing views of Spiti Valley. There are few stories behind the Komic village that marks it existence over centuries. It is said that centuries back, monks at the monastery decided to shift the monastery lower down near Hikkim village due to draught. However, the statue of Mahakaal refused to move the ground despite several efforts. The entire monastery was moved and only a monk resided beside the statue to pray. But in 1975 or maybe earlier, an earthquake reduced the new monastery to ruins which can still be seen while coming down to Kaza from Hikkim. The Mahakaal statue in old Komic monastery still held its ground despite the earthquake. Hence, monks re-shifted the monastery back to Komic in religious beliefs of the sacredness of the place. The Komic village has about 60 odd people population spread among 15-16 houses. There are a few basic homestays at Komic and 2-3 rooms are also available in the monastery at about Rs 50-100 per day, in case you are interested to spend a night at Komic. 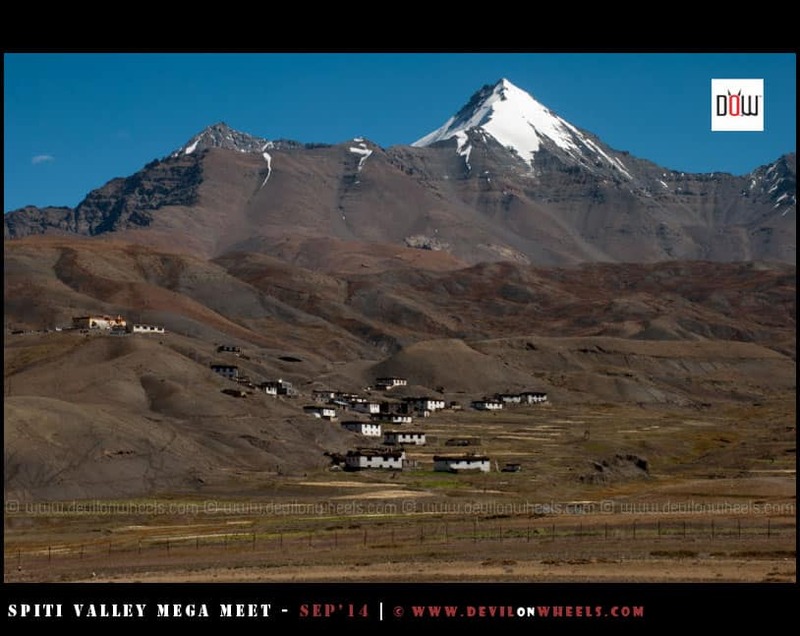 Hence, you can make a budget trip to Spiti Valley by staying at such places. Hikkim village, at an altitude of about 4440 Mtrs, is about 4 KMs from Komic and about 16 KMs from Kaza. This makes the entire circuit from Kaza to Langza to Komic to Hikkim to Kaza of about 44 KMs, easily doable at comfort in a day. Hikkim village is popularly known for the highest post office in the world and the highest polling station in the world. Of course, you can see the Chau Chau Kang Nelda peak from Hikkim as well but not as gorgeous as it is visible from Langza. You can also visit the ruins of the new Komic monastery while coming down from Hikkim to Kaza. There is a co-educational school as well in Hikkim up to eight standard. You can visit it in case you are interested to spread smiles by distributing some educational material to the kids of the school. The road from Hikkim to Kaza will give you goosebumps at certain sections being too narrow overlooking a 1000 Mtrs vertical drop down to Kaza ;)… Standing there and looking at the tiny little Kaza village, well, anyone will surely get those butterflies in the stomach. 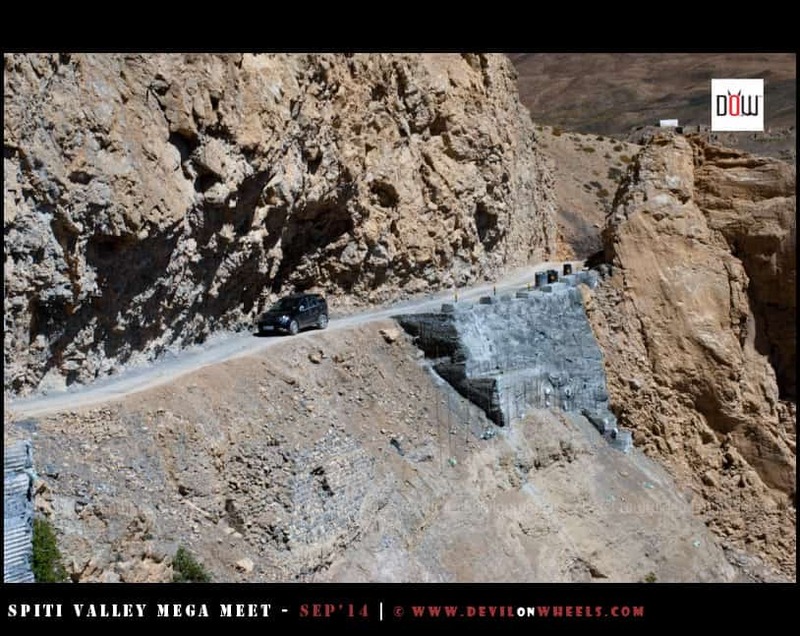 This very road offers some breathtaking views of mountains in Spiti Valley. 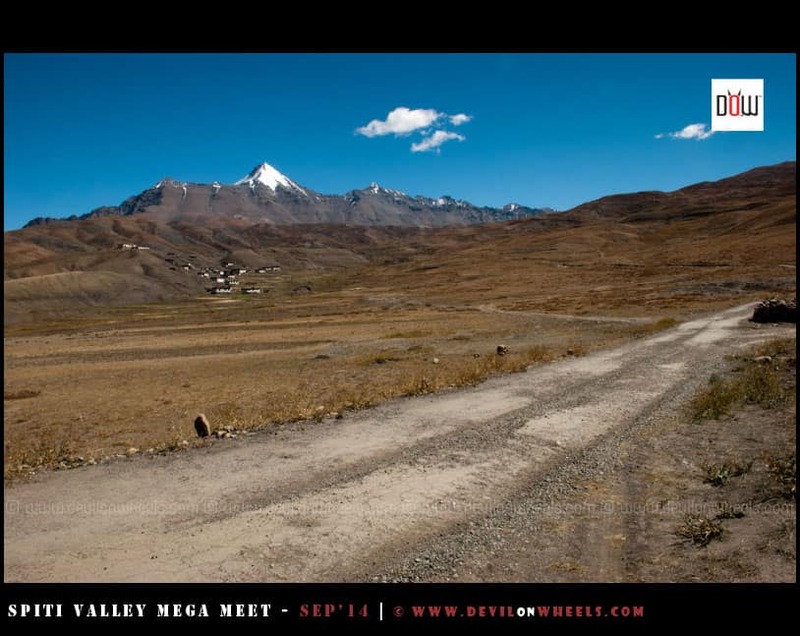 Do read my article on making a trip to Spiti Valley by public transport. 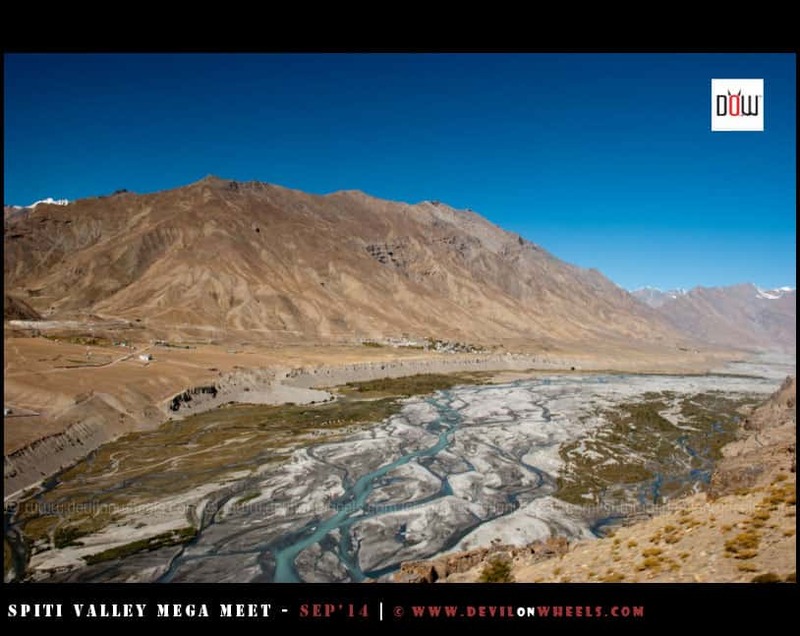 In the end, I will highly recommend you visit these hidden gems of Spiti Valley near Kaza. Once, you will witness these magical yet beautiful places by your naked eyes, I am sure you will feel your soul got lost in the Himalayas. 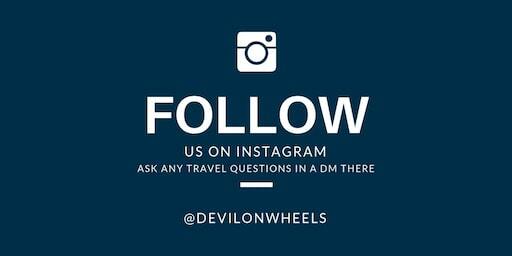 Feel free to leave a comment below if you have any queries or have visited these magical places in Spiti Valley and wanted to share some insights on it. 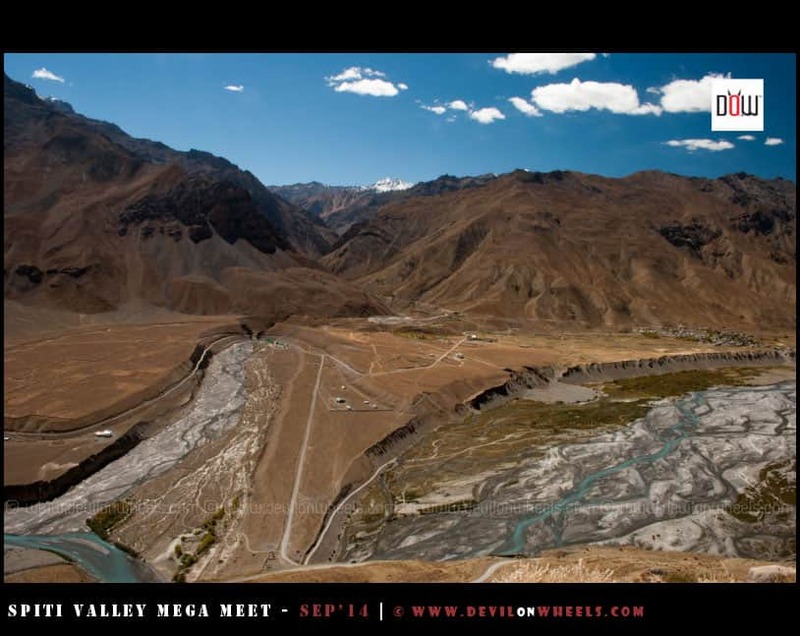 Also, feel free to share with your friends and family who are planning a visit to Spiti Valley in time to come. Very few people know that there is a motor-able road leading to demul via hikkim – langza – comic. Some of its patch nearing demul is very bad, but it is maintained in peak summer season for vehicles. It offers some unique experiences which starts after you leave this villages and head towards Demul, on the same track. It travels near the Shepard’s camp called Doksa, where you will find hundreds of cattle grazing in the pastures. Few years back (8-9 precisely), there were seven camps randomly spread over these pastures. Cultural shift might have reduced the number today. Sometimes you may be lucky to site herds of Yak (majestic male counterparts), chaumurti horses and blue sheep (locally called Nabo and in hindi – Tangdol or Bharal). Even if you don’t visit Demul via this road, it will be fine to come back from the shepherd’s camp. The camp (nearest camp beside neeri nema, is of Mr Yeshi Dorje’s) is not exactly visible from the road due to undulating terrain and camouflage. You need to walk for few minutes to reach there. So better take local guide. You may get a chance to drink dahi, milk and buy local butter – off course all yak products. 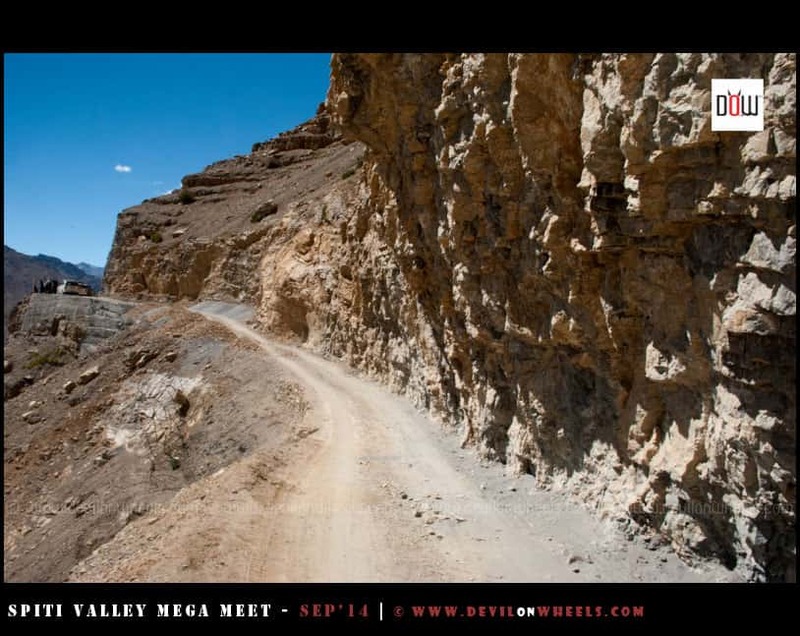 Great article, planning for bike trip to Spiti valley from Shimla side during this Aug 15′ weekend. How will the weather during mid-Aug for bike trip? Avik, I doubt on the frequency of any bus service to Langza, you need to rely on hitchhikes or shared taxis running to these villages. Yes, do spend a night at Langza, beautiful village and very hospitable homestays. I amplanning a trip to langza in sept. could you share details of any homestays there. can we just land there and find something or do we have to book in advance. I believe in September it could be just land there and find something that suits you else you can get in touch with [email protected] as they have couple of homestays up there. Can anyone give some details about the lakes around langza, as m very much interested in trekking my way to the lakes….I will be visiting langza in last week of September….will monsoon pose some problems for me? September is fine to travel to Spiti valley and Langza. Regarding the lakes, there is no laid out route for them, best will be to take the local from Langza village and carry the map print out from google where you are seeing those lakes. Also, the lakes may not be that beautiful in September as most of the water might have got evaporated in such glacial melt lakes. I visited Kaza, Kibber, Kyi Monestry, Tabo Monestry, Nako, Kalpa, Sarhan from & to Shimla in Apy-May 2014. Self drive: In my Santro with wife & two kids. It was very memorable experience to travel in Himalayas in our own vehicle from Gujarat. Had I gone through this blog, I could have included Langza, Komic, Hikkim definately in my itinery. Anyway thanks for sharing this wonderful blog which reminded me our tour. May plan next time to this circuit from Manali side. Thank you Prashant, yeah, this calls for another trip in 2017 to Spiti Valley. 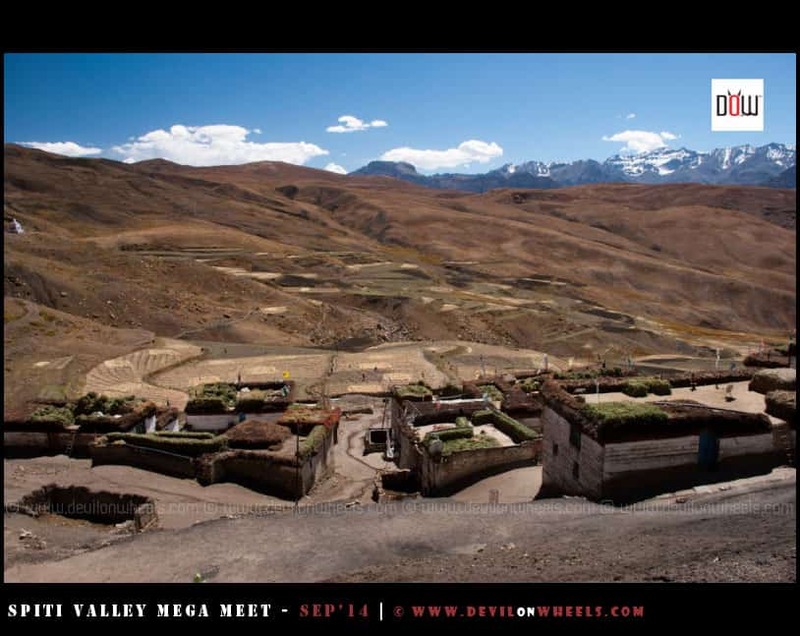 Langza, Hikkim and Komic are few hidden gems of Spiti Valley including Mane Villages. I was planning a trip to Zanskar in Sep ’16 beginning of the month. From–Manali/ Rohtang as the way through Sonamarg ( I had taken that route last year in Aug ) does not seem likely with the situation in Kashmir. Please let me know is that a good time to make the trip as I self drive and the roads that side are not very good and sometime it snows also.I drive a Scorpio. what will be a good stop to make en-route ,are there any army base ? Neena, September is a very nice time to visit Zanskar Valley. 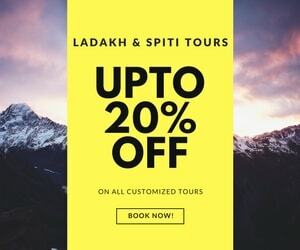 You will need to overnight stops as Delhi, Manali, Jispa, Leh, Kargil, Padum, Padum, Padum, Rangdum/Panikhar, Kargil / Lamayuru, Leh, Sarchu, Manali , Delhi. Army presence is there up to Kargil and then further to Sankoo in Suru Valley. Then you will fine army presence in Padum. Great Job as usual. I would have traveled if you had written it a fortnight earlier. May be next time. Thank you Vageesh, yeah there is always a next time. After being to Spiti almost 5 times, I still carve to go again and again. Dear Dhiraj, it is the first time I have visited DoW site and it is truly amazing. Your write ups and photographs have given me an excellent idea of what to expect and plan. I am an ex- army doctor, avid traveller in the hills, now staying in Delhi. 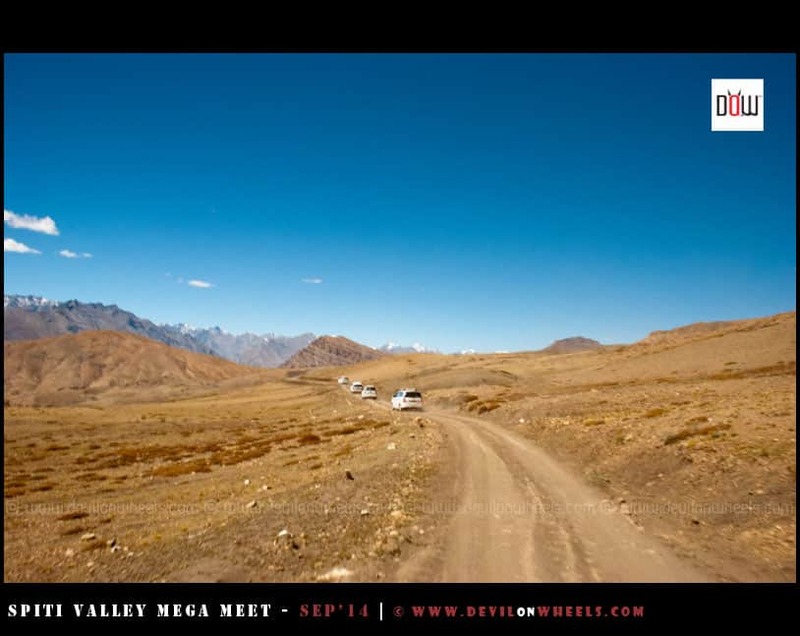 I intend to travel up to manali in the last week of September, and plan to do the circuit…. Manali-rohtang-kunzum la-kaza. Spend about 4 days in Spiti/Kaza, and then back via Tabo-Kalpa-Rampur-Narkanda and Simla to Chandigarh and Delhi. I am travelling in a Mahindra XUV 500 with wife and two boys in their twenties. We plan to carry our own tents/ do home stays wherever possible. Just a couple of Queries.. Do we have to book home stays or we can get them on the spot since it is near the end of the season (around 24th to 28th sept) in Kaza or Tabo. Any particular spares I should carry since I am travelling alone. Would be very grateful for any info/suggestions you can give me. 1. No, you do not need to book any home stays that late in the season. It gets a bit cold for camping especially before Tabo towards Manali side. 2. Make sure you unscrew all the XUV nuts of all tyres and screw them to the point where it is safe and not so tight. In case there is a puncture, ensure to put a jack under the car and then unscrew the nuts. In case you will put pressure on the nuts without aligning it properly, XUV nuts get deformed and refuse to come out. Only option left will be to gas cut the nuts. It has happened to us twice, once the car was towed and Neeraj got stuck for about 5 days in Battal and then in Kibber and Tapan da had to drive back home with three nuts only. Also carry the pannier a longer one which is easy to remove nuts. This is a particular problem with XUV, make sure you do not deform the nuts. Rest you can carry basic parts and mseal.